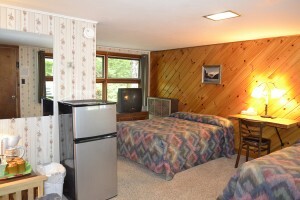 These are our big motel rooms. 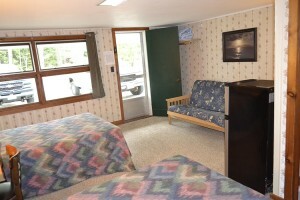 You have 2 full size beds, and a futon that opens to a full size bed. 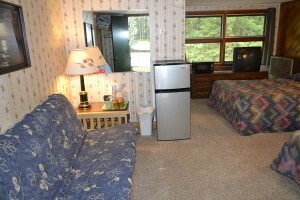 These 2 rooms have a mid size fridge, coffee maker with coffee and a micro wave. 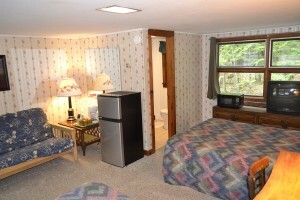 This has a mid size bathroom with shower stall.